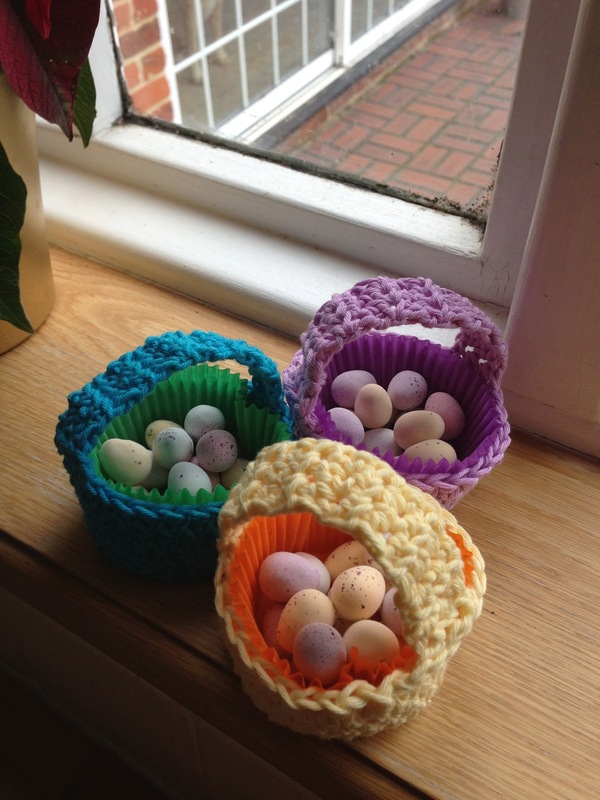 I thought it would be a good idea to make the girls at work a little Easter basket to put our chocolate eggs in – obviously I’m more interested in the chocolate eggs, but you know how I get a bit bored doing the same crochet project, so I need to swap about a bit. Anyway, here they are. I think they’ve turned out really well. 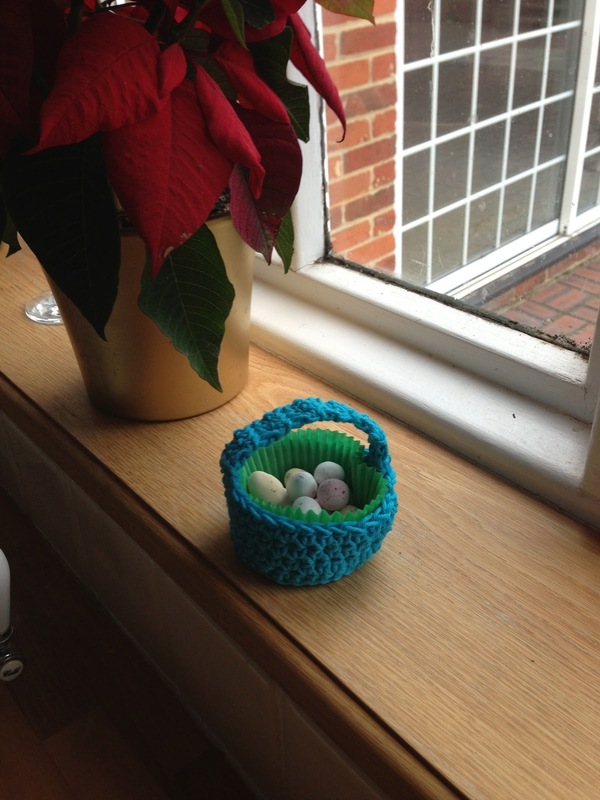 I was a bit concerned about making the handles stand up so I starched them and it worked quite well – I’m sure the eggs won’t be in there long enough for anyone to notice! 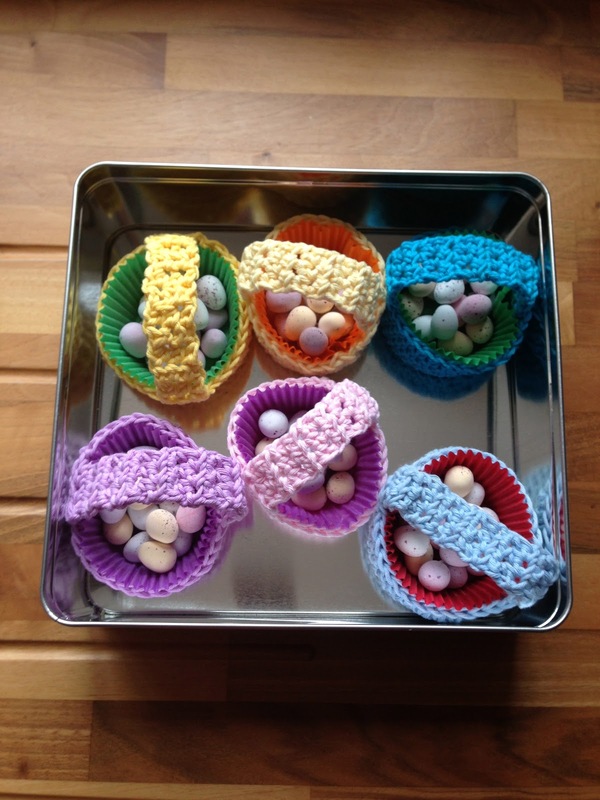 Thank you to CraftSanity for sharing their free pattern – you can get it at this website.